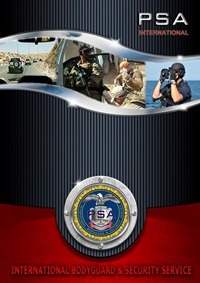 The International Bodyguard and Security Service (IBSS) is a member of the PSA International Company Group™. The previous name was TCCS-Worldwide-IBSS. The PSA International Company Group™ is offer one of the best cutting edge of Personal Protection & Security Service and Special Defence and Security Training Provider for several military and government agencies and UN but it is working in the private security industry too in worldwide. Also member of the group The Security and Defence Technology Development Center™ too. The Centre purpose to develop of the special designed special military and defence equipments and safety technology systems, what primarily will be use of the military and law enforcement agencies in special areas and war zones in worldwide. Such as: jammer, drone hunter, cryptographic equipments, secret communication systems etc. IBSS is private, independent executive security service and military consulting firm, was established with the purpose to provide the highest level of professional protective services for you as well as in priority areas of society. The founder and the management are fully committed to the cause and worked for a long time as highly trained, internationally recognized security and anti-terrorist professionals, experts, consultants, and trainers. The IBSS is specialized personal protection and special security services and support in high risk zones and hostile areas or dangerous seas. Our scope covers also Close Protection/Bodyguard services for high profile media personalities, musician artists, professional athletes as well as, business people, princes and corporate executives. We base our activities on the decades of professional experience our staff and experts have gained during their active duty services. IBSS is committed to make you feel that your family, your clients, employees as well as your valuables and yourself are in safety wherever you live in the world. Our company is an enterprise which seeks customer satisfaction through highest-standard services, client-oriented and performance-based policies of our mission. We provide services that are only carried out according to current and relevant national and international laws and regulations. Our success and reputation has grown up from understanding and fulfilling our Client’s exclusive requirements. IBSS is an innovative security company focusing on quality is not quantity as well as stability and flexibility. Copyright © Since 2013 All rights reserved. PSA-IBSS is full member of PSA International Group.